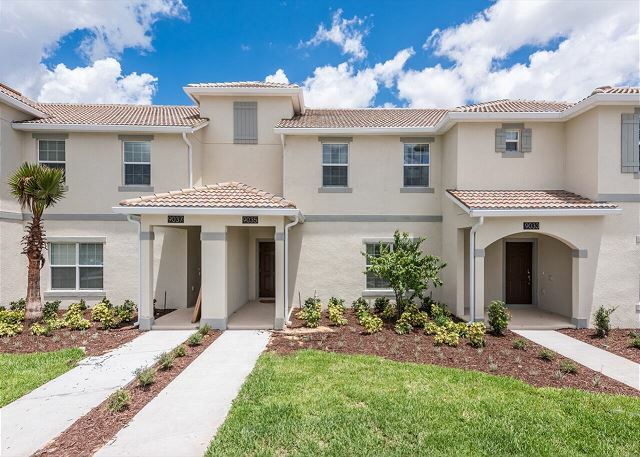 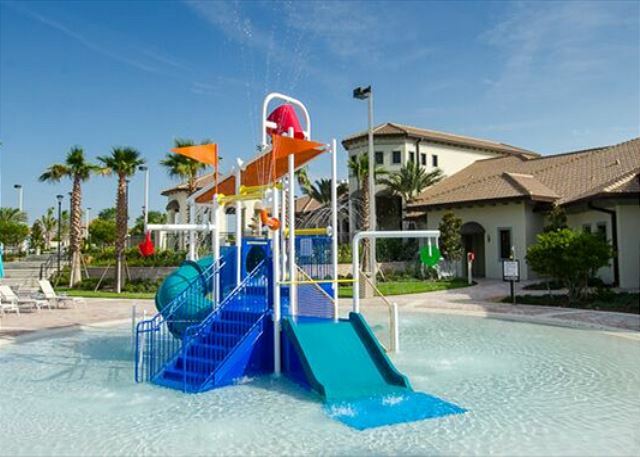 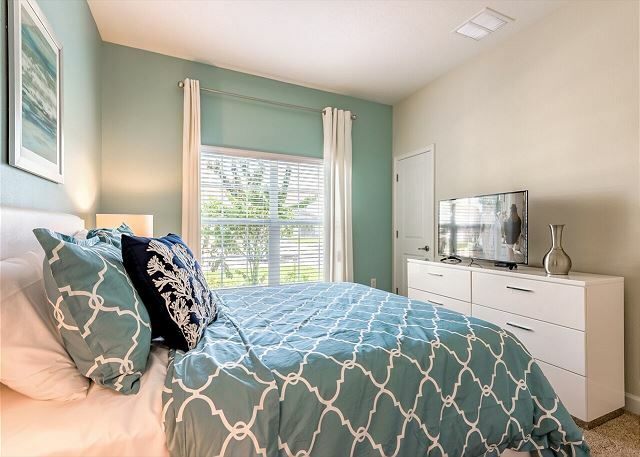 Come visit our newest addition to the wonderful Championsgate Resort, a luxurious 4 bedroom townhome only a few minutes walk over to the Oasis Clubhouse and WaterPark. 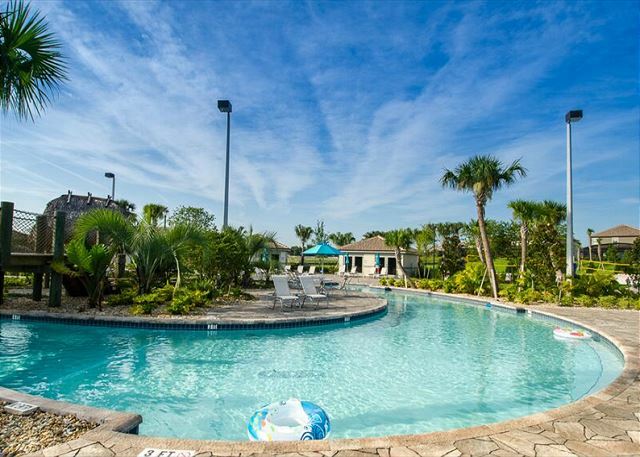 This professionally furnished home is a perfect place for your family to vacation and has everything you will need to enjoy your holiday. 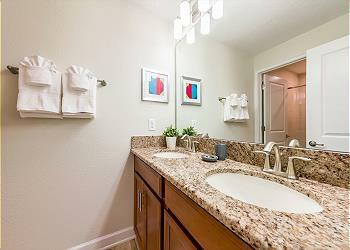 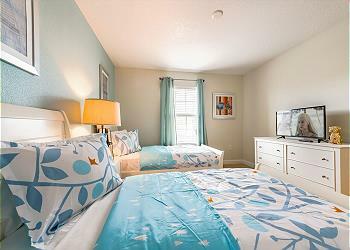 You will find a queen bedroom on the main floor with a full bath right outside the room. 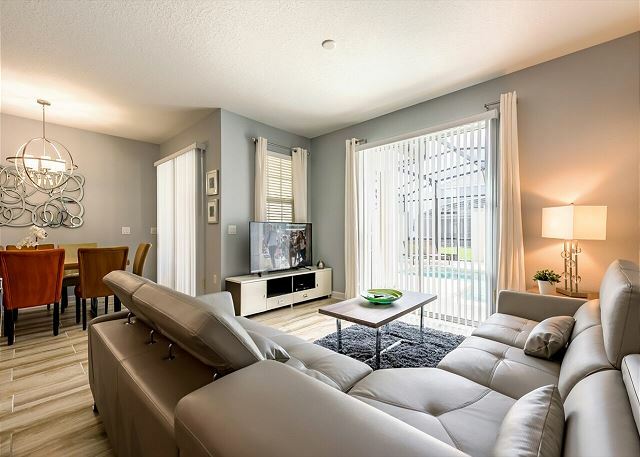 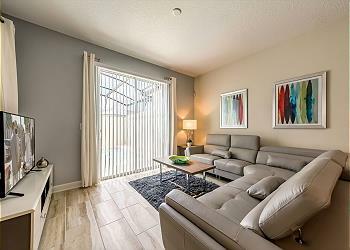 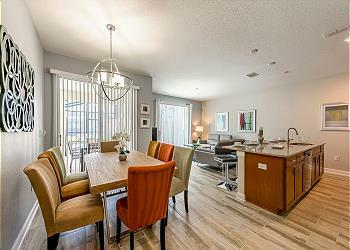 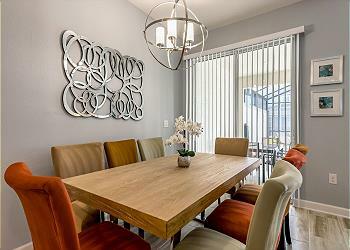 A very spacious open concept main floor is perfect for the family to gather. You will find a fully equipped kitchen with beautiful cabinets and granite counter tops and everything you need to cook your favorite family meal. 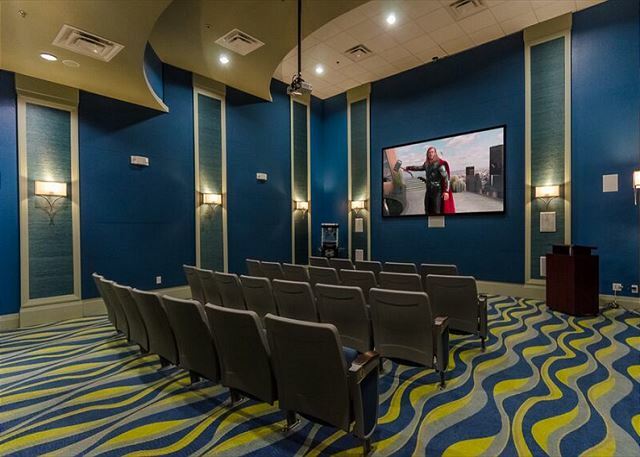 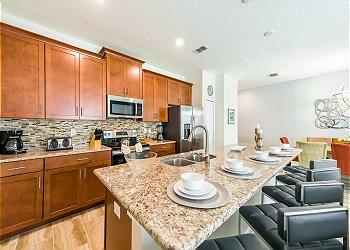 This opens to the large family room with large flat screen TV and dining area. 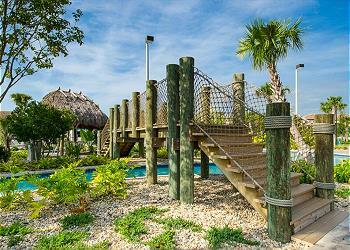 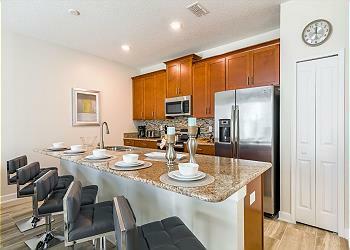 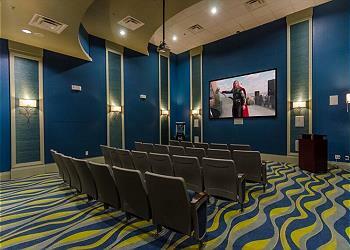 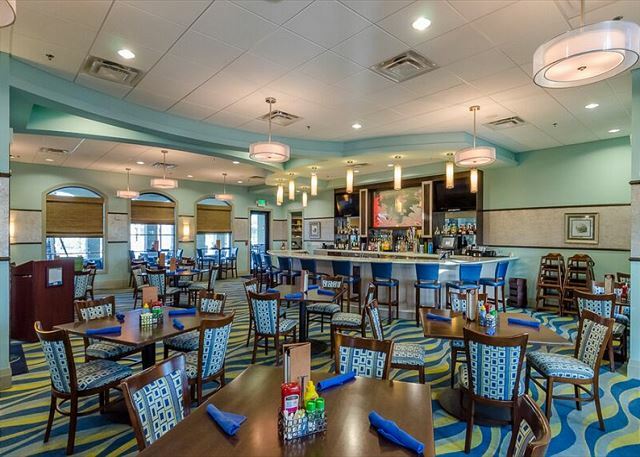 The whole family can enjoy this area as a perfect gathering place after a long day at the parks. 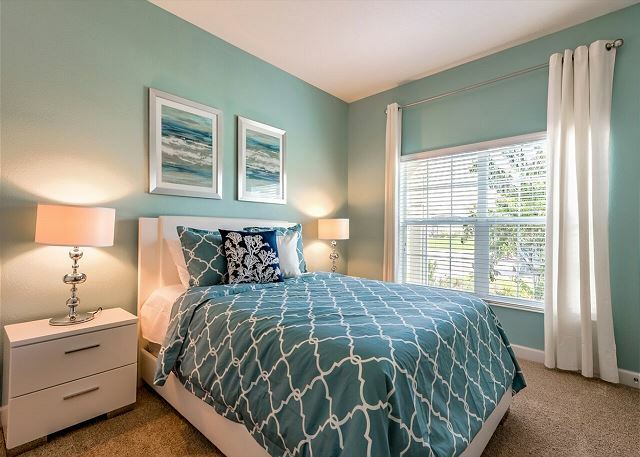 Upstairs you will find 3 additional bedrooms. 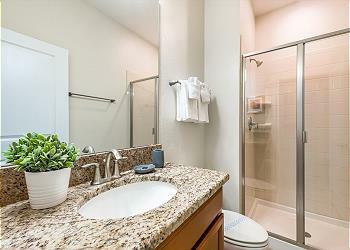 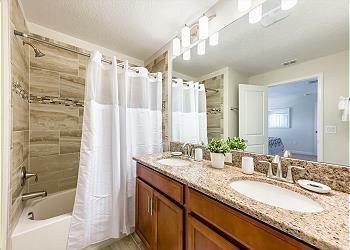 There is a king master bedroom with ensuite bath. 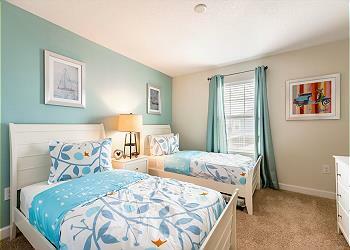 The other two bedrooms are queen and a twin room with 2 twin beds and one with trundle. These two rooms share a bathroom across the hall. 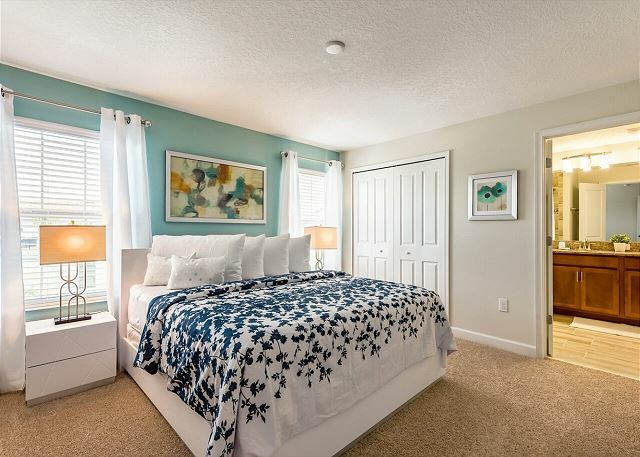 This home will comfortably sleep 9 guests. 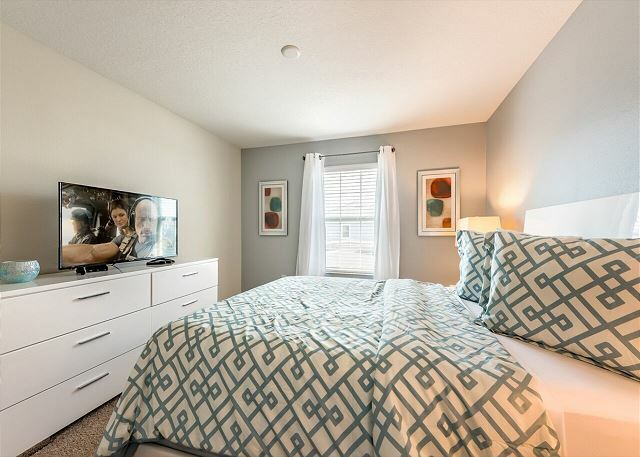 All bedrooms have their own large flat screen TV's. 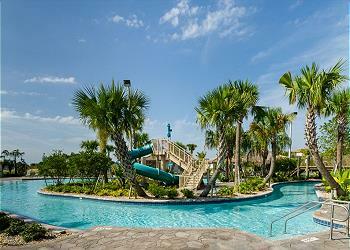 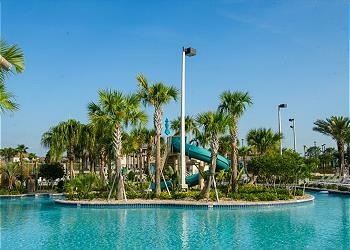 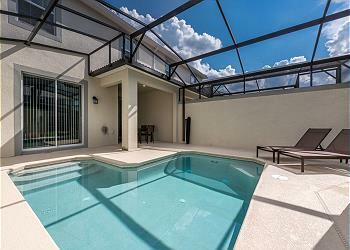 Outside you will find your very own private pool and covered patio to enjoy the warm Florida Sun. 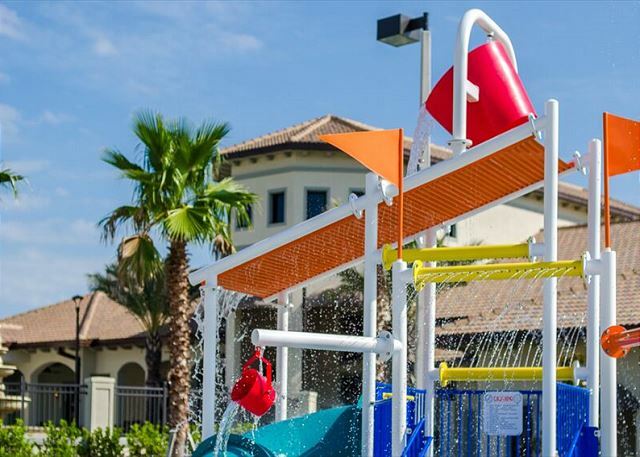 Don't forget to visit the Oasis Waterpark and clubhouse with 25,000 sq foot with Restaurant, games room, state of the art gym, yoga room and more. 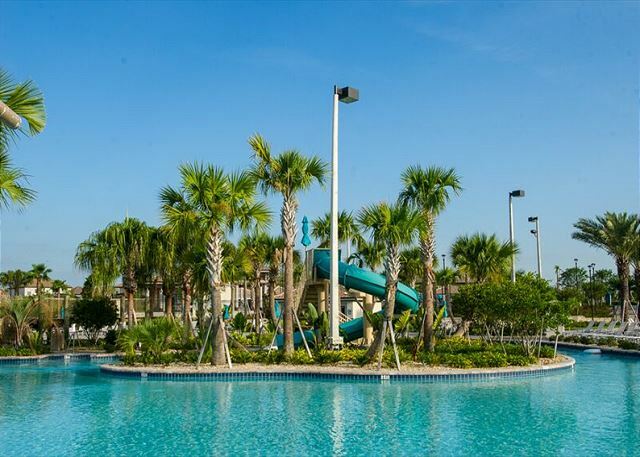 Outside you will find 80,000 sq foot of space with huge pool, lazy river, water slides, tiki bar, air conditioned cabanas available for rent and lots of loungers to soak up the rays.